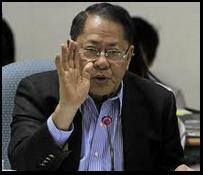 A COA report showed Edgardo Angara allotted P14.4 million of his pork barrel funds to an NGO where he was an incorporator, stockholder and board member. Now that’s scandalous! I mean, controversial! Sorry Senator. 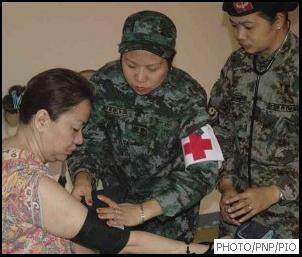 Reports say the blood pressure of Janet Lim-Napoles shot up to 180 over 150 Monday morning. Her normal blood pressure is 200/70. Janet Lim-Napoles is claustrophobic. Her friends in the Senate are amnesiac. If you’re a high profile inmate with these symptopms, contact the jail warden for your possible transfer to a posh hospital. TOLL FREE: 1-908-ULOL! That’S 1-908-8565. A Philippine Daily Inquirer report says President Aquino is in love again. Next! During a Congressional hearing Monday, LTO Chief Virginia Torres was questioned on the controversial viral (cellphone) video of her inside a casino. Under investigation, Torres expressed confidence she’ll be absolved of any wrongdoing. She’s very, very positive. In fact, she’s betting on it. LTO Chief Virginia Torres insisted the ‘casino’ video that surfaced was “taken with malice.” No Virginia, it was taken with a camera phone. Because it is an issue of national importance, let’s go back to that ‘Noynoy is in love again’ item. 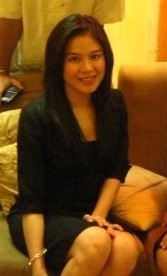 According to the Inquirer, the president’s new girl is Mariness “Kim” Ledesma, a CPA lawyer. The source revealed, “… they’re very serious about each other.” Let’s hope the source is serious about his info. “It will probably be the most awkward moment in the history of Philippine legislature” i can just imagine :)) LOL AWKWARD!